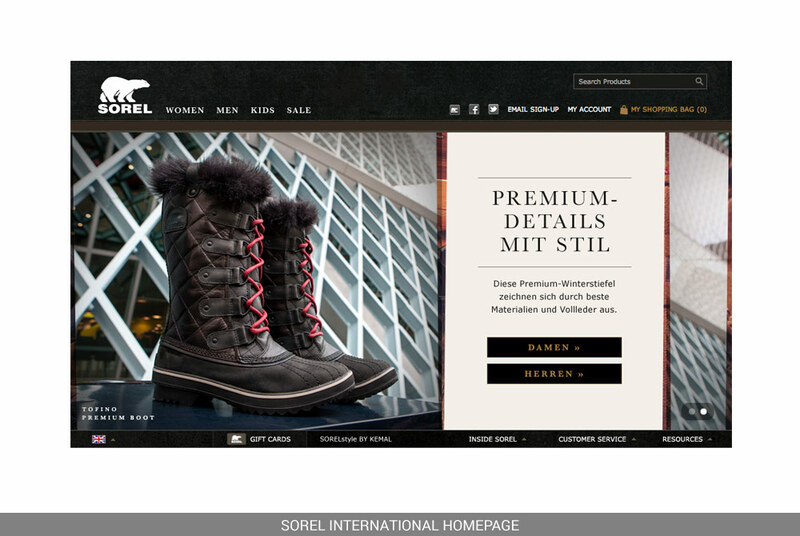 For part of my Columbia career I was lead design for the international homepages for SOREL, and worked closely with the International Department. 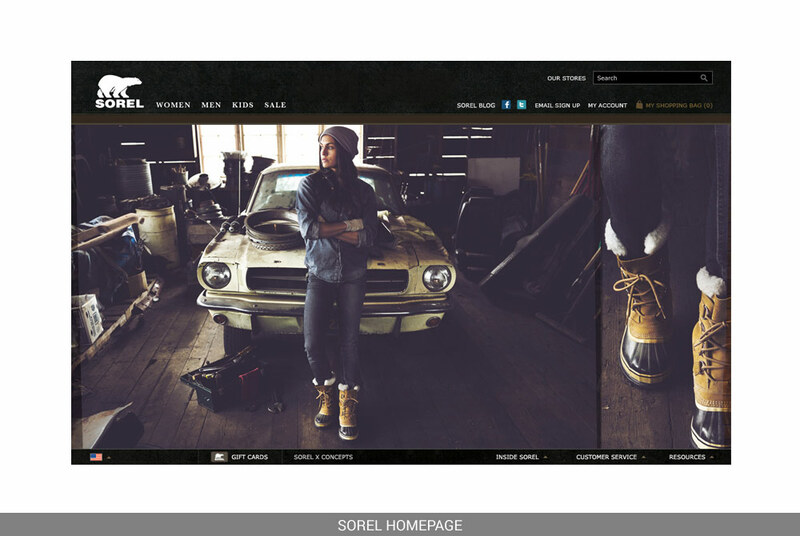 During that time the SOREL branding changed a few times. Here’s a small sampling of the various pages I designed during different branding phases. 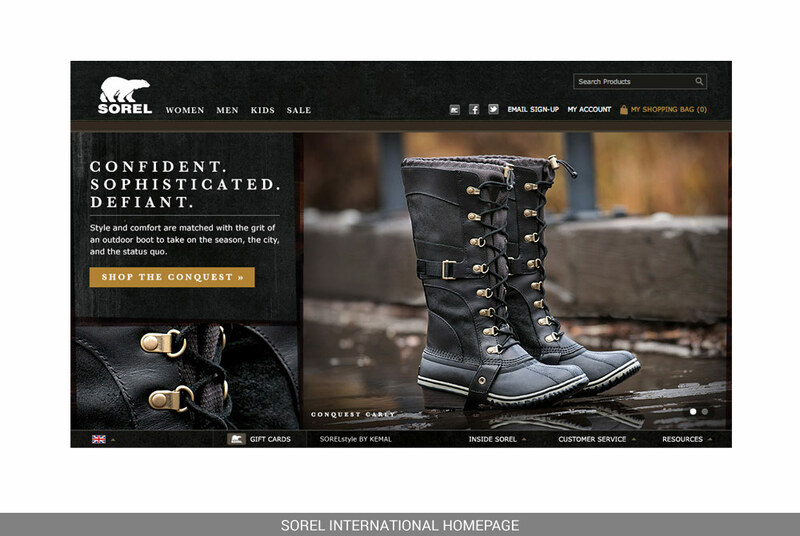 My job was to design the homepages based on the current SOREL branding guidelines. _ Research. 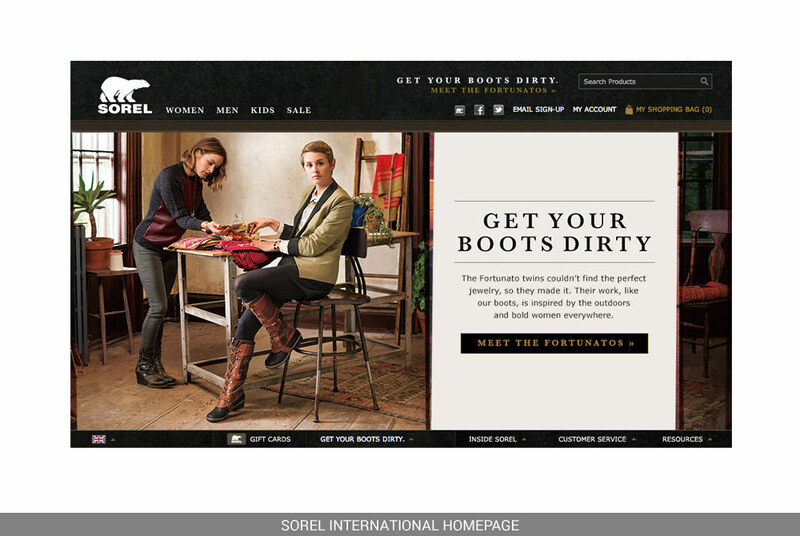 I worked with merchandizing, copywriting, and marketing to learn which images and information to include. _ Design. 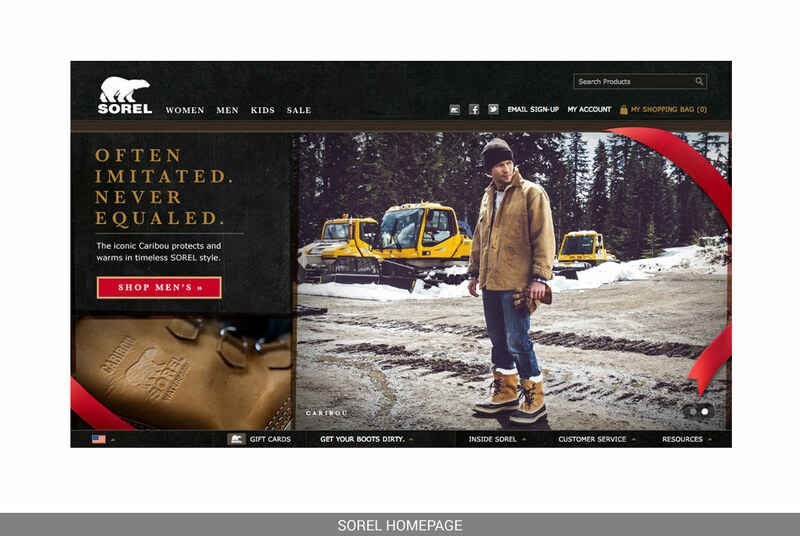 I designed the homepages using the “lifestyle” imagery, and product “romance” shots. 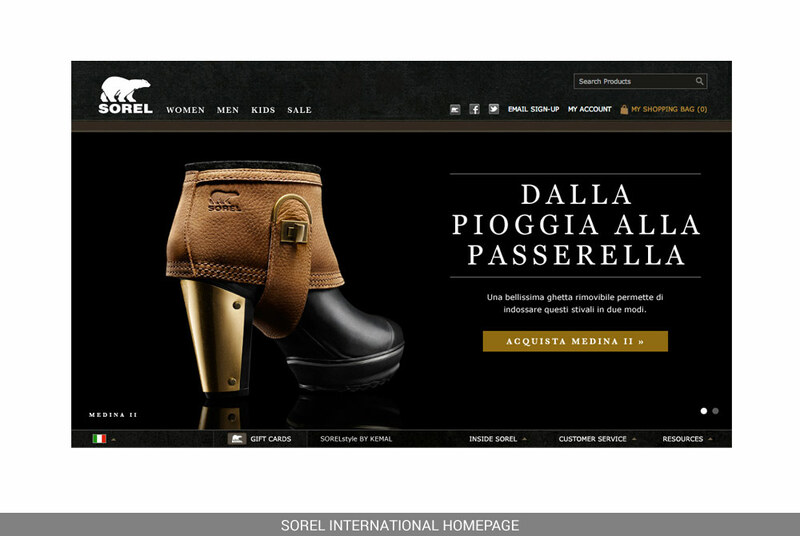 The Internatonal team was happy to have me enjoyed and my organized approach to translating the designs into foreign languages. 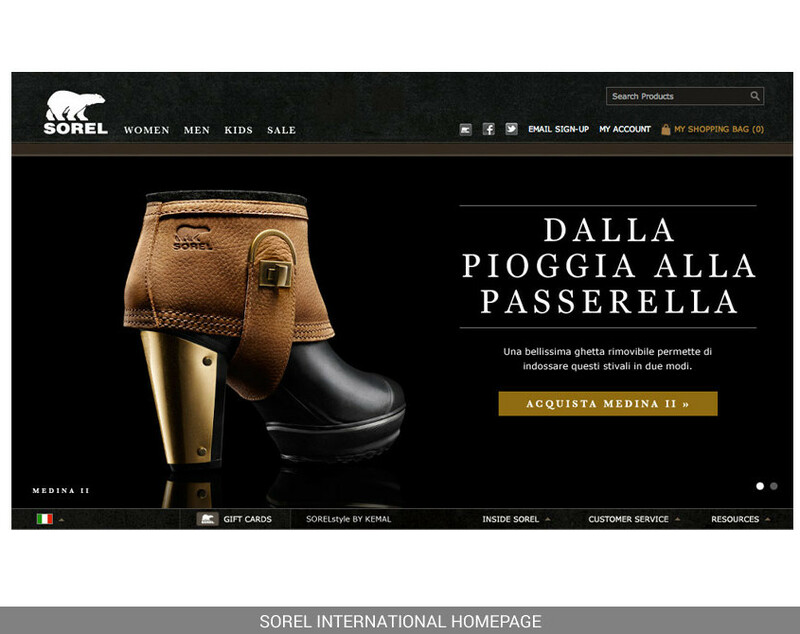 The eCommerce team was very happy with the designs, and the homepages launched as planned.